Check out our Amazing New Year Offers! We’ve teamed up with our partners to bring you 2 amazing offers to kick start the New Year and save you or your tenants money on heating bills. 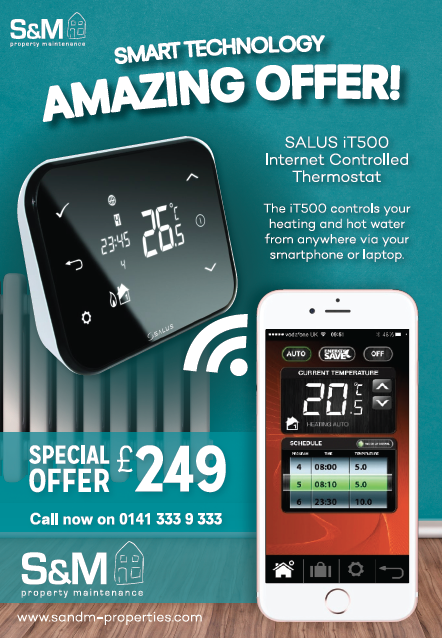 Offer 1 – SALUS IT500 Internet Controlled Thermostat only £249! 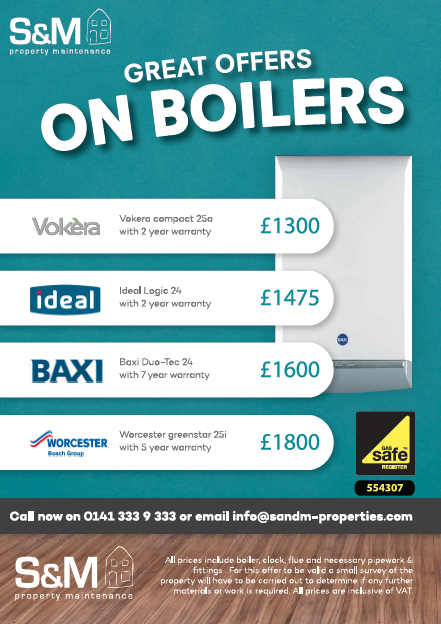 Offer 2 – New Boiler Supply & Fit at discounted rates! Find out more about these amazing offers below. Our expert and qualified team are ready and waiting so give the office a call on 0141 333 9 333 or email at info@sandm-properties.com to take advantage of these amazing offers.